ALD History Blog: Congratulations Dr. Tuomo Suntola for the 2018 Millennium Technology Prize! 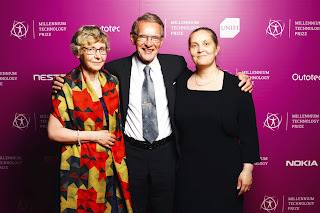 Congratulations Dr. Tuomo Suntola for the 2018 Millennium Technology Prize! Dr. Tuomo Suntola has been awarded the 2018 Millennium Technology Prize for the Atomic Layer Deposition (ALD) innovation. Warmest congratulations! In the view of the undersigned, Virtual Project on the History of ALD (VPHA, http://vph-ald.com/) has been crucial for realizing the prize this year. Drafting the nomination letter was a natural continuation of the VPHA ALD history activities. The scientific publications created in VPHA describe the history of ALD in a balanced way and thus directly supported the prize. Wikipedia updates have been important in spreading the information beyond the immediate scientific ALD community. Thank you to all who have been involved in these voluntary works and for the numerous supporting letters provided! List of three scientific articles on the history of ALD, created within ALD, below. 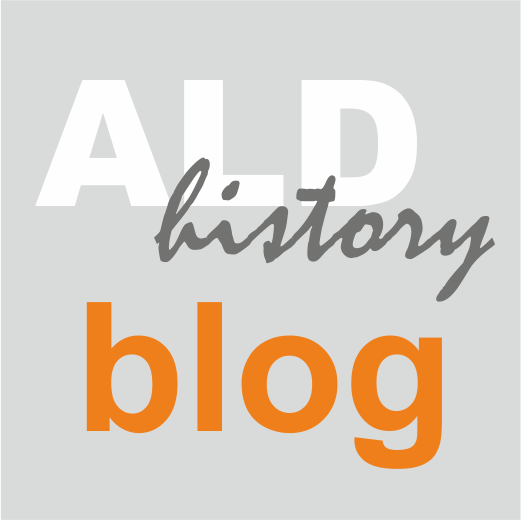 A longer list of ALD-history-related publications is available at http://vph-ald.com/ALD-history-publications.html. Previous ALD History Blog posts related to the 2018 Millennium Technology Prize here. Some photos of the events on May 22 and 23 at the end of the post. Dr. Tuomo Suntola deserves the prize extremely well for his breakthrough pioneering accomplishments in ALD technology. Suntola has always supported the ALD history activities by the undersigned; likewise, it has been great to feel the widespread support in the international ALD community for the prize to Suntola. I hope that the prize can still further unite the ALD community and spread understanding of this enabling "hidden technology" to the general public. Congratulations Tuomo Suntola; congratulations the rest of us in the ALD community; let us enjoy this moment! Review article: “Recommended reading list of early publications on atomic layer deposition—Outcome of the “Virtual Project on the History of ALD””, Esko Ahvenniemi, Andrew R. Akbashev, Saima Ali, Mikhael Bechelany, Maria Berdova, Stefan Boyadjiev, David C. Cameron, Rong Chen, Mikhail Chubarov, Veronique Cremers, Anjana Devi, Viktor Drozd, Liliya Elnikova, Gloria Gottardi, Kestutis Grigoras, Dennis M. Hausmann, Cheol Seong Hwang, Shih-Hui Jen, Tanja Kallio, Jaana Kanervo, Ivan Khmelnitskiy, Do Han Kim, Lev Klibanov, Yury Koshtyal, A. Outi I. Krause, Jakob Kuhs, Irina Kärkkänen, Marja-Leena Kääriäinen, Tommi Kääriäinen, Luca Lamagna, Adam A. Łapicki, Markku Leskelä, Harri Lipsanen, Jussi Lyytinen, Anatoly Malkov, Anatoly Malygin, Abdelkader Mennad, Christian Militzer, Jyrki Molarius, Małgorzata Norek, Çağla Özgit-Akgün, Mikhail Panov, Henrik Pedersen, Fabien Piallat, Georgi Popov, Riikka L. Puurunen, Geert Rampelberg, Robin H. A. Ras, Erwan Rauwel, Fred Roozeboom, Timo Sajavaara, Hossein Salami, Hele Savin, Nathanaelle Schneider, Thomas E. Seidel, Jonas Sundqvist, Dmitry B. Suyatin, Tobias Törndahl, J. Ruud van Ommen, Claudia Wiemer, Oili M. E. Ylivaara, Oksana Yurkevich, Journal of Vacuum Science and Technology A 35 (2017) 010801 (13 pages). http://dx.doi.org/10.1116/1.4971389. Open access. Essay by R. L. Puurunen, "A short history of Atomic Layer Deposition: Tuomo Suntola's Atomic Layer Epitaxy", Chemical Vapor Deposition 20 (2014) 332-344, doi: 10.1002/cvde.201402012. Open Access. Full essay. 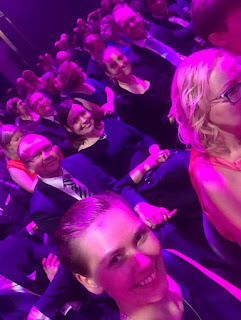 Waiting for the award ceremony to begin, May 22, Kaapelitehdas, Helsinki. Photo by Mari Lundström. The 2018 Millennium Technology Prize was handed to Dr. Tuomo Suntola by Mr. Sauli Niinistö, President of the Republic of Finland. Also on stage: Chairperson of the Technology Academy Finland, Professor Marja Makarow. May 22, 2018, photo by Riikka Puurunen. Gala dinner, May 22, 2018. Photo by Riikka Puurunen. Happy at the event: Prof. em. Outi Krause, Dr. Tuomo Suntola, Prof. Riikka Puurunen. May 22, 2018, photo provided by the Millennium Technology Prize organization. The public talk of the 2018 Millennium Technology Prize winner Tuomo Suntola was given at Aalto University. May 23, 2018, photo by Riikka Puurunen. Tuomo Suntola starting his public talk at Aalto University, May 23, at nine. Photo by Riikka Puurunen. Conformality, the ability to coat a 3-D object with a uniform film, is key to ALD's success. May 23, 2018, Photo by Riikka Puurunen. Where, then, is ALD used? Tuomo Suntola explains an example. May 23, 2018, Photo by Riikka Puurunen. Question session after the Millennium Talks on May 23, Aalto University. Päivi Törmä and Tuomo Suntola. Photo by Riikka Puurunen.